Whisk cream and sugar until soft peaks form. Gently heat jam in a small saucepan or in the microwave making sure it is smooth, but not too hot. Combine Mascarpone cheese and jam until uniform. Fold in whipped cream until there are no streaks. Place blueberry filling in a pastry bag fitted with a large tip. Fill each pastry cup. 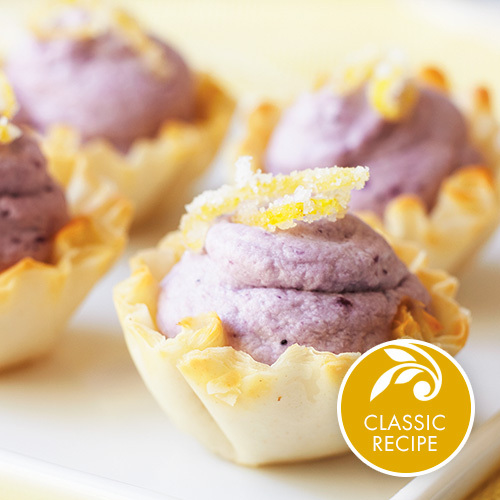 Garnish with a small blueberry, candied lemon peel, or whipped cream with a small mint leaf.